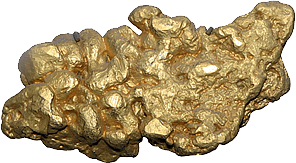 If you're lucky enough to own gold nuggets, your luck is about to get better because at Brisbane Gold Buyers, we purchase your gold nuggets at leading market rates. We come to you to value and assess the weight of your nuggets and carat. If you agree to sell, you'll receive instant cash on the spot, it's that easy! For more information on how you can earn cash for gold, or to make a booking, contact us now.